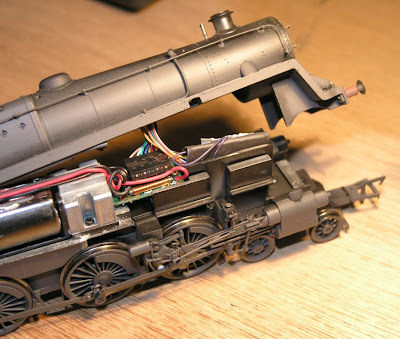 Whilst I like this model enormously and it is equipped with a DCC socket - it is very tricky to carry out the fitting without damaging the plethora of delicate features on the model. 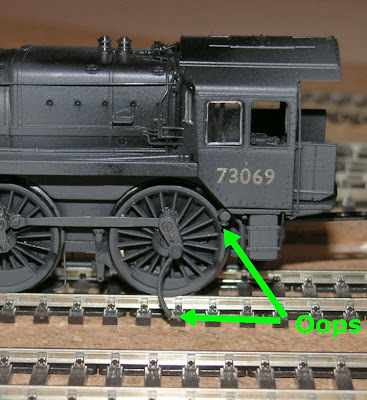 This is made unnecessarily worse by the lack of any good disassembly instructions....I hope this blog post will help others as some instructions turn a tricky prospect into a relatively simple one...it will also help me recall what to do when I have to it again. 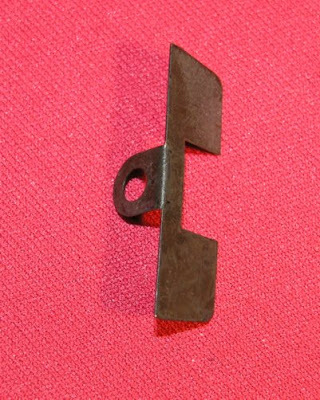 (2) can't be unclipped just have to bend out of the way. 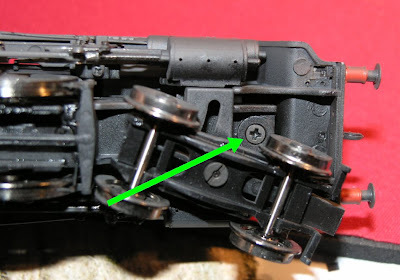 (3) a 'nodding donkey' shape of component which is easily lost - clips each side and then has a locating lug holding it in place in the chassis. 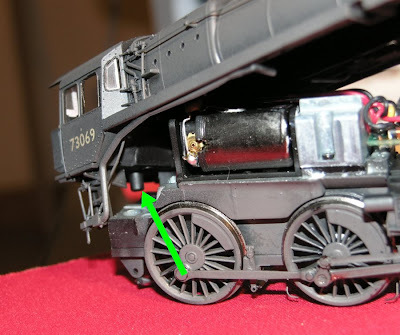 (4) the screw we are trying to get at. Can't be seen on the next photo, look at the one below that. 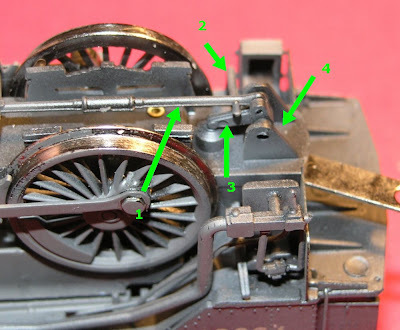 And here is a picture of the controller fitted into the loco - as you can see the controller is stood vertically in a slot designed for it mounted in the smokebox area. Just bought a 5mt second hand. 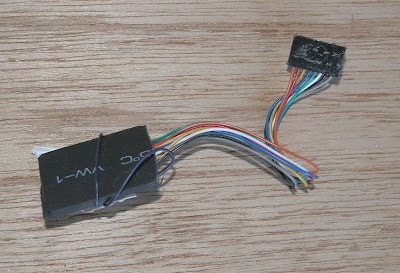 I would have had trouble installing without this blog!! !